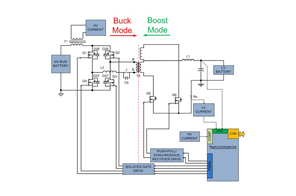 The Bidirectional 400V-12V DC/DC Converter Reference Design is a microcontroller-based implementation of an isolated bi-directional DC-DC converter. 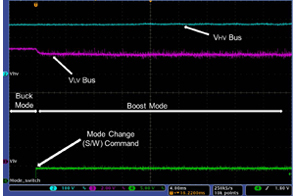 A phase shifted full-bridge (PSFB) with synchronous rectification controls power flow from a 400V bus/battery to the 12V battery in step-down mode, while a push-pull stage controls the reverse power flow from the low voltage battery to the high voltage bus/battery in boost mode. 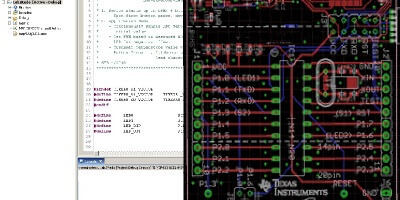 In this implementation closed loop control for both directions of power flow is implemented using Texas Instruments 32-bit microcontroller TMS320F28035, which is placed on the LV side. This digitally-controller system can implement advanced control strategies to optimally control the power stage under different conditions and also provide system level intelligence to make safe and seamless transitions between operation modes and PWM switching patterns.